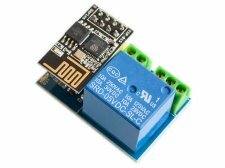 If you want a nice home automation application, or develop some smart home products, this module will take charge of your electrical equipment by WIFI control. It can be accessed through the TCP client server control can also be controlled through the HTTP protocol, the control of diverse and easy to operate. ccess control server via TCP CLIENT mode Via HTTP protocol control.High-current terminals.